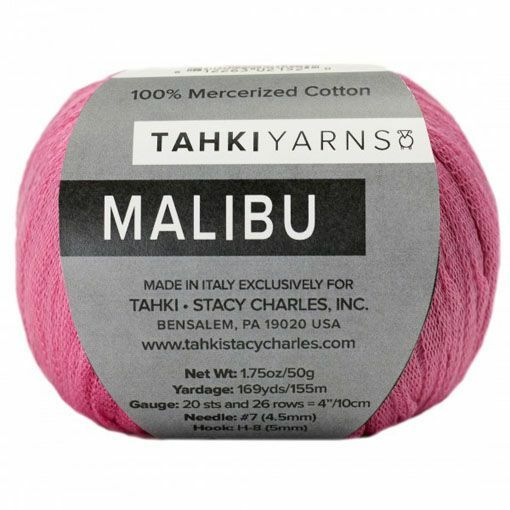 Tahki Yarns Malibu is a great yarn for creating layering pieces for the summer months. This is a worsted weight, tape yarn that will create fabrics with drape. The colors vary from neon to muted earthy tones. The slight sheen and glossy nature of this yarn will give you a finished piece that is sophisticated and classic in design. We recommend design shapes that are simple in nature and showcase the glory of the yarn.